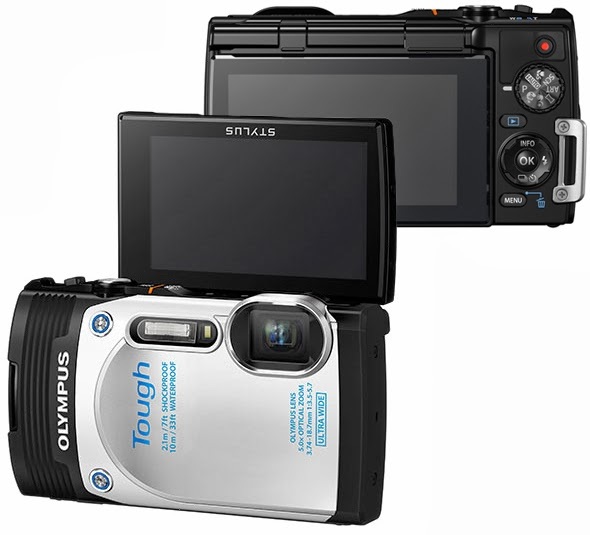 Olympus has announced its new rugged compact, the Stylus Tough TG-850 iHS. 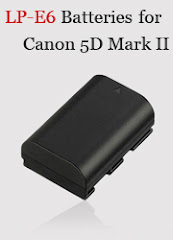 The camera is dustproof, waterproof to 33ft (10m), freezeproof to 14°F (-10°C), and crushproof to 220lb (100kg). The TG-850 is equipped with a TruePic VII image processor, a 16MP CMOS sensor, an ultra-wide-angle 21-105mm 5x optical zoom lens, and a tiltable up to 180° 3" 460K-dot resolution LCD . The camera can shoot Full HD 1080/60p video. The TG-850 will be available in three body colors, white, black, and silver, in March. The camera is priced at $249.99. CENTER VALLEY, Pa., January 29, 2014 — The Olympus Spring camera line-up includes the next-generation Olympus TOUGH®, the STYLUS® TG-850, an advanced rugged compact designed to expand outdoor shooting capabilities in the most challenging environments. The STYLUS TG-850’s super wide-angle 21-105mm 5x optical zoom lens — the widest lens of any rugged camera* — plus a 180° flip LCD monitor and shockproof*, waterproof, dustproof, crushproof and freezeproof construction, makes it the perfect companion for explorers looking to capture every angle of their adventures and users looking for a durable solution to everyday photography. Its newly designed, sleek and stylish tough body features the large 3-inch, high-resolution 460,000-dot flip LCD, yet retains its rugged durability: waterproof down to 33 feet (10m), shockproof from seven feet (2.1m)*, crushproof up to 220 pounds (100kgf), freezeproof down to 14° F (-10°C) and dustproof. The combination of the 180° flip LCD and the wide-angle lens make it particularly well suited to half underwater photography, self-portraits, and monitoring. When capturing semi-submerged shots, for instance, users can simply tilt the LCD 90° to eliminate the need to dip underwater. And for self-portraits, tilt the screen up to the full 180° and get the entire group and/or landscape into the shot. Paired with the adjustable self timer and 99-frame intervelometer, the TG-850 is a perfect companion for action shots – and video recording – when mounted on your bike, surf board or helmet. The STYLUS TG-850 captures video with natural motion in new smooth 60p recording at 60 frames per second in full HD (1080) and high-speed recording (HS120fps with resolution of 640x480, or HS240fps with 320x240). The Multi-Motion Movie image stabilization compensates for blurring that occurs when shooting video while walking or panning across a scene. Users can easily share their images on their social networks using the Olympus Image Share smartphone app via the optional Toshiba FlashAir™ SDHC card. *When the tilt LCD screen is closed. The Olympus STYLUS TG-850 will be available in March 2014.